Housing, monthly stipend, tuition, meals and a laptop all covered by MEST. Kumasi – Saturday 2nd May 2015 (WAEC Hall, Hall4), Time: 10:00am – 12:30pm prompt. Confirm your participation here. Accra – Sunday 3rd May 2015 (Jones Quartey Building, Behind the African Studies Dept. at the Univ. of Ghana, Time: 12noon – 2:30pm prompt). Confirm your participation here. Lagos – To be announced soon. 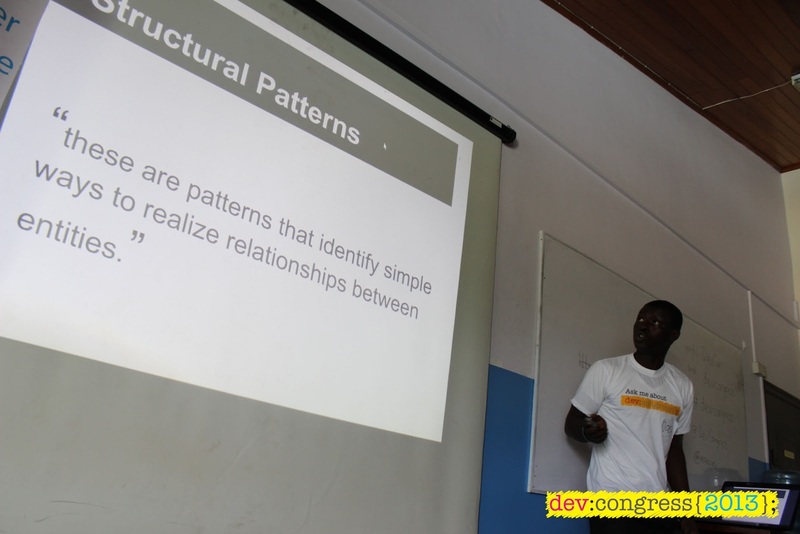 After lunch, Jeffrey Godwyll of Ghana Technology University College opened the second phase with his talk on Google App Engine. 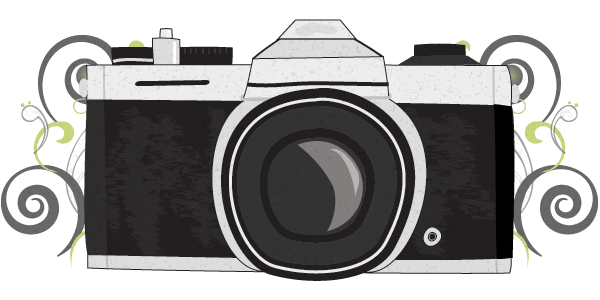 For most developers, we would want to quickly host a project for a client to view online. If you cannot use Google Drive to do that, an alternative is App Engine which currently works on PHP, Python and Go. Design patterns was the next tech talk delivered by Joel Funu. Joel talked about the various techniques to solve programming bottlenecks with design patterns. Another great part of DevCongress events is the rich opportunity to meet new developers and strengthen your network. That was the focus of the next 15 minutes or so. Developers made new friends and reconnected with old ones. The hallways and lounges were filled with laughter from shared memories and new ones being created. At this year’s conference, we chose 3 topics for our workshop; Chrome DevTools, Agile Development and Version Control with Git. The workshop sessions run concurrently in 3 different classrooms. These topics were chosen because most developers identify with at least one of these. 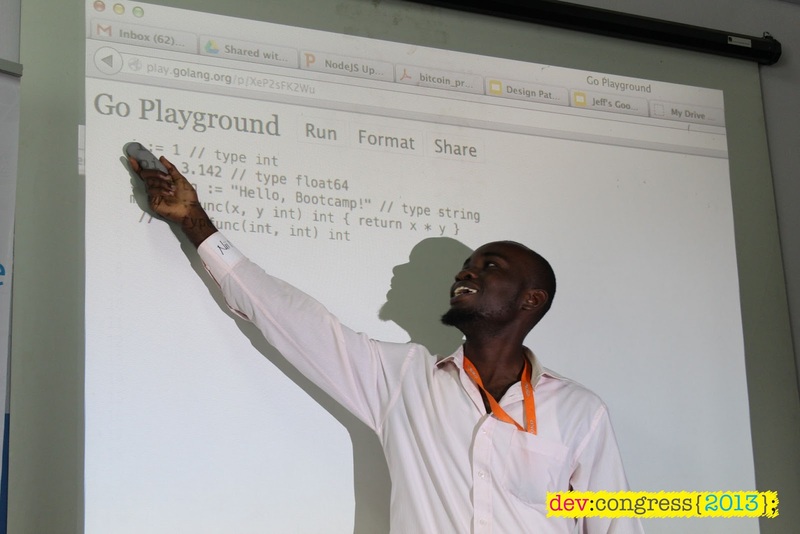 For Chrome DevTools, Yaw Boakye lead the session. We also had two MEST fellows teach the other sessions; Rhys Moyna taught Agile Development while Nikunj Handa led the Version Control session. The final tech talk for the day was an introduction to NodeJS by Precious Ewusi Nyarko. He took participants through the process of creating and running a simple HTTP server with nodeJS. Though it was the last talk, it had loads of energy to keep people alive. Final item on the program was the more action driven activity, what we call the “Way Forward”. We believe that developers should be able to collaborate on various projects, which is one of our objectives. During this time, we decided to take up projects that would have high impact on the community and the tech space as a whole. Based on the earlier reaction to SMSGh’s job search processes, the participants agreed to develop a job posting service for developers. The project is currently underway on our git repo for any developers who are interested to join in. The general reaction was that developers look to HackerNews, TechCrunch, etc as news sources. Again, they agreed to create a Google Chrome extension which will be a news feed for our blog. That project is available for collaboration on GitHub. 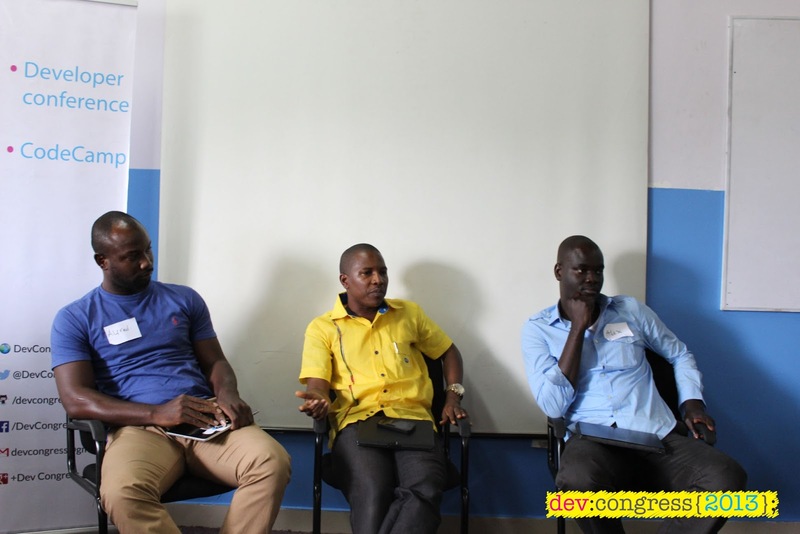 One impressive person we got to know during our preparations was Michael Turkson who was so excited about DevCongress that he created a Google Map route for anybody who needed directions to the venue on Saturday. DevCongress 2013 finally ended on Saturday, and we’re glad about the excitement and encouragement from people. We would like to extend our gratitude to the staff and students of the Meltwater Entrepreneurial School of Technology for believing in our idea and giving us the support we needed. Also to Blogging Ghana, we would like to thank you for featuring us on your blog. For all who spoke, attended, blogged, posted on various social networks and supported us in various ways, we thank you. 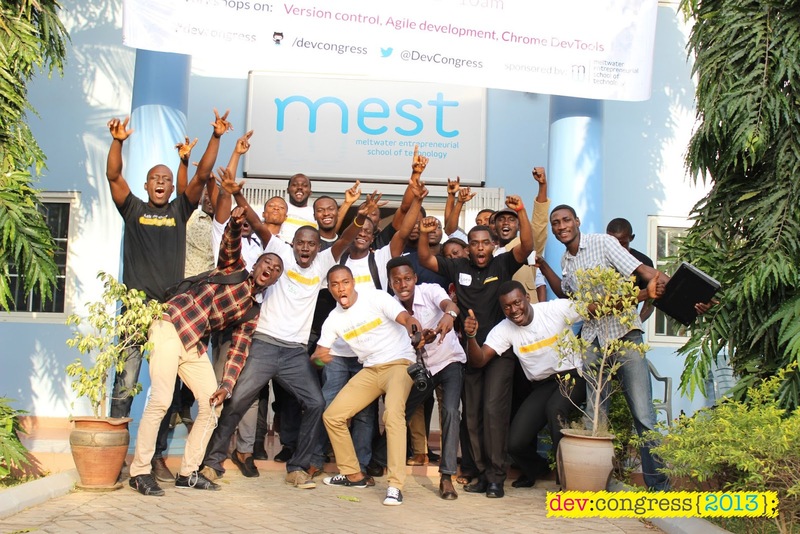 Follow us on Twitter and check devcongress.com for frequent updates on our upcoming events, and more importantly for opportunities to contribute to projects and develop yourself as a developer. To my teammates, Yaw and Elorm, you rock!